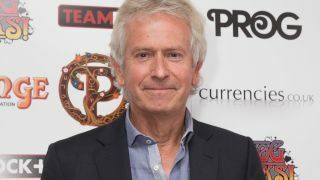 Tony Banks has announced that he’ll release a new orchestral album titled Five early next year. Five will launch on February 2 via BMG Records and features a collection of five compositions that were written by Banks, with the album produced by his long-time collaborator Nick Davis. It’ll be his third orchestral album and follows 2004’s Seven: A Suite For Orchestra and 2012’s Six Pieces For Orchestra. Orchestrator and conductor Nick Ingman is also involved with the project and agreed to collaborate after Banks played him some of the demo material. In the past, Ingman has worked with David Bowie, the London Symphony Orchestra and Royal Philharmonic Orchestra. A statement on the release reads: “The impetus for Five was a commission for the 70th Cheltenham Music Festival in 2014, for which Banks composed the original version of what now appears as the opening track Prelude To A Million Years. “Then it was entitled Arpegg and received its world premiere on July 5, 2014, with Maxime Tortelier conducting the Bournemouth Symphony Orchestra. “Following some consideration, Banks and Davis worked on four further pieces to join Arpegg and form this new album. Five will be available on CD and 2LP gatefold. Find the cover art and tracklist below.